It’s been a real roller coaster year for Quentin Tarantino fans. 2014 started off with a bang with the leaked script for the loquacious filmmaker’s latest, The Hateful Eight, and then quickly went off the rails when the director shelved the project in response. Since then, there have been near-constant murmurs of what would become of the script. 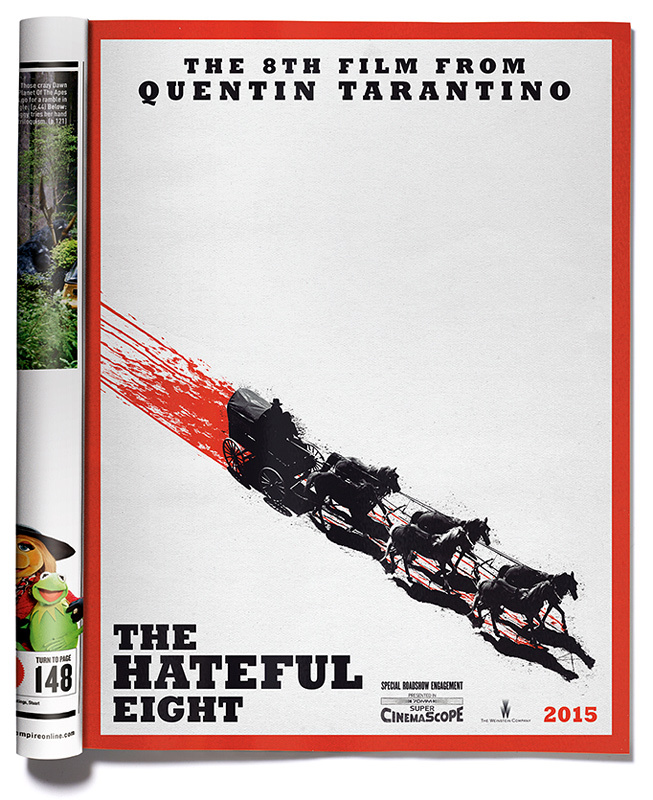 No point in letting it go to waste, even for someone who seems like as much of a grudge-holder as Tarantino. There was to be a book, and then a star-packed live reading. Finally, the director announced over the weekend that the film is back on–and there’s already a print ad in Empire magazine. This first poster follows a tradition going back to the Kill Bill series of mentioning which number the film is in the director’s chronology. (Not coincidentally, perhaps, this one is number eight.) Not much is revealed in the poster, other than the fact that it’s a Western, which we already knew, and that there will be blood in it, which we could’ve already guessed. So begins the long wait for the film which should premiere at some point in 2015. At this point, though, it’s safe to say that anything could happen.